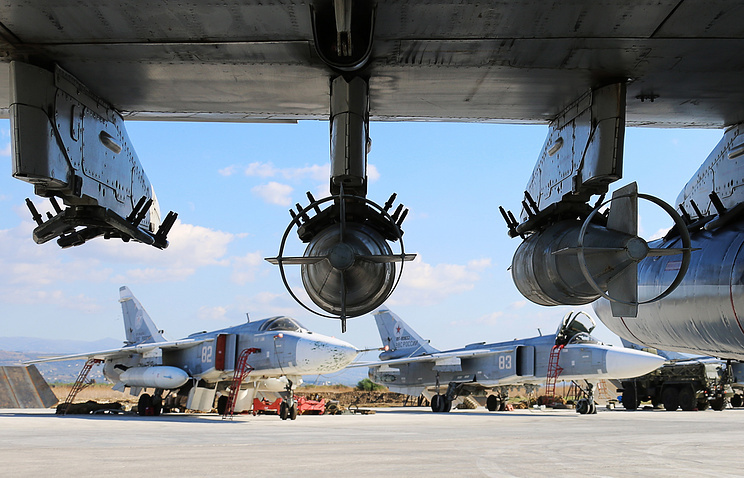 HMEYMIM AIRBASE /Syria/, August 16. /TASS/. Journalists from leading foreign mass media have been allowed to see terrorists’ drones shot down over the past three days near Hmeymim while trying to attack the airbase. A group of foreign journalists touring Syria’s areas undergoing postwar reconstruction asked Russian military officials to let them see the makeshift drones terrorist use for attacks on Hmeymim. 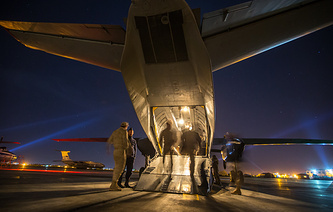 They were allowed to take a look at several improvised remote-controlled aircraft downed over the past several days. 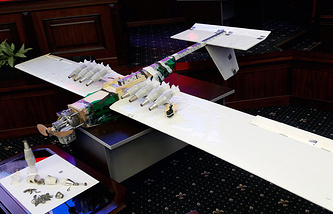 Konashenkov said the makeshift drones had a wingspan of up to 3.5 meters and flight range of more than 100 kilometers and were capable of climbing to altitudes of up to 3.5 kilometers. One drone can carry up to 10 makeshift explosive devices. All drones that had tried to approach Hmeymim had been launched in terrorists-held Syria’s northeast (Idlib Province).